Plasco ID offers a great platform for your professional growth and taking your career to the next level. Join our fast growing entrepreneurial company by emailing your cover letter and resume using the “Submit Resume” button below. 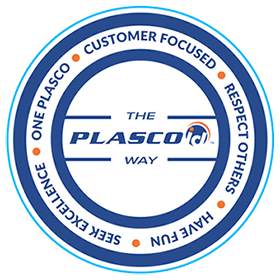 Headquartered in Miami, FL, and Minneapolis, MN, Plasco ID has more than 35 years in the identification industry. We sell and support ID card printing systems, software, cameras, technology cards, access control and visitor management solutions, as well as related consumables to countless vertical markets. The combination of our products, services, technical expertise, and exceptional customer service has earned us the reputation of being the world’s largest integrator of identification solutions. We have served over 100,000 customers in the United States and internationally, including government agencies and Fortune 500 companies. And we are looking for new talent, with big career ambitions, to join our growing team. The Help Desk Support Technician is responsible for providing phone support on software and desktop hardware to all our customers. That includes ID card printers and any type of computing device we sell. Functions include installing, diagnosing, repairing, maintaining, and upgrading all hardware and software equipment to ensure optimal performance. This person should be highly motivated and have excellent interpersonal and customer service skills. The candidate must have the ability to work in a fast-paced environment, as well as establish and maintain effective working relationships with all internal and external personnel/customers. Provides phone support to our customers on all products we sell to include but not limited to: ID Card printers, Cameras, Capture device and various software . Remote access to customer’s computers for both troubleshooting and web training. Assign RMAs for items that require repair or evaluation. Provide support for software updates, drivers, knowledge bases, and frequently asked question resources on the Internet to aid in problem resolution. Manage customer database with updates, repairs, support calls and training. Support and assist Sales team with technical issues and equipment demos. Submit repair tickets with manufacturers for Warranty repairs. Keep up to date with product knowledge training for all printers and software we sell and support. Understand basic PC and/or Mac functions. Knowledge of peripheral installation, i.e. :printers, digital cameras, capture devices, etc. Ability to work with computers and software such as Microsoft Excel, as well as data processing skills, are valued. Requires effective oral and written communication skills, excellent interpersonal skills. The physical demands described here are representative of those requirements employees must meet to perform the essential functions of this job with or without reasonable accommodations. While performing job functions the employee is regularly required to sit, and stand, write, operate a PC, communicate, listen, and assess information. The employee may move about the office complex, may travel to other office locations and may lift, push, pull or move up to 25 pounds. The employee is occasionally required to walk throughout the warehouse or other parts of the office. Visual requirements include distant, close and color vision, and ability to adjust focus. The work environment characteristics described here are representative of those an employee encounters while performing the essential functions of the job. The environment includes work inside/outside the office, travel to other offices domestically. A high noise level is possible within the warehouse area. Under the direct supervision of the Controller and/or Assistant Controller, the Accounting Clerk participates in the following functions: running AR Aging Reports, make collection calls, send emails with Statements or copies of Invoices as requested by customer, analyze activity into AR card, be able to reconcile differences and explain them to customer. Contact customers via phone or email to collect on open balances in accounts under Terms. Run AR Aging Reports as requested by Supervisor as well as be able to reconcile differences in accounts due freight charges, sales tax, discount coupons, returns, partial payments or other scenarios. Contact customers to respond to billing inquiries or any other requests. Be able to understand and achieve weekly goals set up for the position and capable of making necessary adjustments to get to that level. Work on various accounting projects as needed. Contact customers for collection purposes. Knowledge of Accounting principles is strongly preferred. Ability to coordinate with other departments of the Company. Ability to understand customer’s inquiries and be able to explain status of account. Ability to comprehend basic mathematics. Requires effective oral and written communication skills, excellent interpersonal skills and computer literacy. The physical demands described here are representative of those requirements employees must meet to perform the essential functions of this job with or without reasonable accommodations. While performing job functions the employee is regularly required to sit, and stand, write, operate a PC, communicate, listen, and assess information. The employee may move about the office complex, may travel to other office locations and may lift, push, pull or move 15 pounds. The employee may occasionally walk throughout the warehouse or to other departments. Visual requirements include distant, close and color vision, and ability to adjust focus.